Lead the Learning and Development practice for the 4A's. Assure our 4A’s L&D offerings are designed to meet the needs of our industry and delivers a high quality, meaningful experience for our participants. Conduct regular assessments of our current offerings against members’ needs and make recommendations for approvals and provide solutions where gaps exist. Design and develop curricula for 4A’s L&D portfolio. Partner with SVP to drive L&D committee strategy and corresponding execution of meeting outcomes. Develop and deliver quarterly assessments/analysis of learning initiatives and provide clear reporting for continuous improvement of material and facilitation of training sessions (quality control and continuous monitoring). Facilitate collaboration to gather insights, member feedback, raise awareness of L&D initiatives with other internal member facing disciplines. Facilitate regular meetings with appropriate staff at member agencies to stay abreast of training activities, unmet staff development needs and opportunities for 4A’s support in the area of L&D. Coordinate and lead quarterly meetings with facilitators to ensure effective management of content material and delivery. Proactively manage L&D budget; making immediate adjustments as needed to ensure revenue goals are met. Where necessary, design, build and execute online and offline training with corresponding knowledge assessments. Develop and manage pipeline of trainers/facilitators/ to ensure quality of offerings. Supervise and manage any 3rd party vendors and trainers as required; including contract development/execution/negotiation. Design, develop, implement and execute integrated marketing strategy. Identify and execute new revenue streams including on-demand learning (podcasts, streaming webcasts, micro-learning, blended learning, career coaching, employee development etc.). Lead and oversee the L&D staff to ensuring that motivation, engaged, managing growth and development. 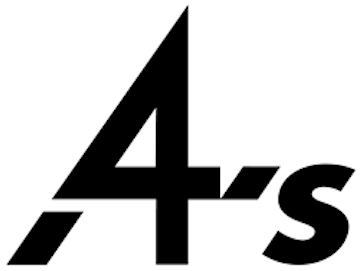 As the leading trade organization for marketing communication agencies, the 4A’s purpose is to help empower its members to deliver insightful creativity that drives commerce, and influences culture all while moving the industry forward. The organization provides community, leadership, advocacy, guidance and best-in-class training that help enable agencies to innovate, evolve and grow. 4A’s Benefits division insures more than 160,000 employees and its D.C. office advocates for policies that best support a thriving advertising industry. The 4A's Foundation fuels a robust diversity pipeline of talent for its members and the marketing and media industry, fostering the next generation of leaders. The organization is dedicated to, and vested in, our members' success just as they are dedicated to helping brands create, distribute, and measure effective and insightful advertising and marketing.